Hojung Cho, PhD, counsels clients in biotechnology, pharmaceutical, chemical, diagnostic, and therapeutic device fields. Hojung has a special interest in representing clients with multidisciplinary inventions. Her strong legal and scientific training allow for a full range of IP services, including preparing and prosecuting U.S. patent applications, coordinating global patent portfolio management, and assisting with IP landscape and freedom-to-operate analyses, enforceability, non-infringement, and invalidity opinions, and IP due diligence for licensing, and mergers and acquisitions. Hojung’s technical experience covers a wide range of subject matter, including diagnostic and detection devices, biomarkers, biosensors, biochemical assays, microfluidics, bioMEMS, lab-on-a-chip applications of micro/nanotechnology, nanoparticles, fluorescence imaging, immunostaining, recombinant microorganisms, nucleic acid and protein technologies, cell culture platform, cell cryopreservation, tissue engineering, immunotherapy, cellular therapy, stem cells, antibiotic treatment, infectious diseases, metabolic engineering, biofuels, biomaterials, polymers, catalysts, and programmed therapeutic devices. Before entering patent law practice, Hojung received her PhD from Johns Hopkins Schools of Medicine, where her dissertation research involved recombinant protein expression to study bacterial environmental sensing and gene regulation in microfluidic platform. Numerous press reports (including Nature, Nature Reviews Microbiology, and MSNBC) highlighted her work as significant for investigating biofilm formation and infectious diseases. While earning her bachelor’s degree at Seoul National University, Hojung conducted research on developing bacterial enzyme systems for amino acids production. 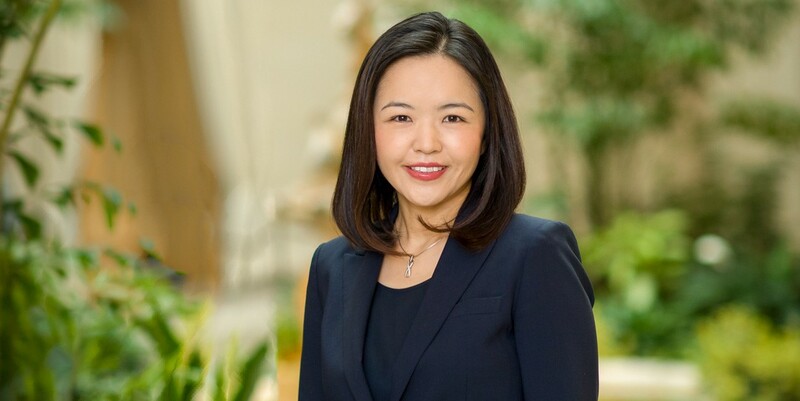 Prior to joining McNeill Baur PLLC, Hojung spent more than nine years at Finnegan, Henderson, Farabow, Garrett & Dunner, LLP, where she gained substantial litigation experience working on multiple PTAB and district court cases, in addition to patent prosecution and counseling. "Self-Induced Mechanical Stress Can Trigger Biofilm Formation in Uropathogenic Escherichia Coli," Nature Communications, 9:4087 (2018) (coauthor). “Spotlight on Claim Construction before PTAB,” 11 Buff. Intell. Prop. L.J. 73, December 2015 (coauthor). “Teva’s Effect on Review of PTAB Claim Construction Rulings,” Law360, May 11, 2015 (coauthor). “Self-Organization in High-Density Bacterial Colonies: Efficient Crowd Control,”PLoS Biology 5(11): e302, 2007 (coauthor) (highlighted in Nature 450, 322-323 (2007); Nature Reviews Microbiology 5, 904 (2007)). “A Microfluidic Chemostat for Experiments with Bacterial and Yeast Cells,”Nature Methods 2, 685-689, 2005 (coauthor). “Simultaneous Synthesis of Enantiomerically Pure (S)-Amino Acids and (R)-Amines Using -Aminotransferase Coupling Reactions with Two-liquid Phase Reaction System,” Journal of Molecular Catalysis B: Enzymatic 26, 273-285, 2003 (coauthor). “Simultaneous Synthesis of Enantiomerically Pure (S)-Amino Acids and (R)-Amines Using Coupled Transaminase Reactions,” Biotechnology and Bioengineering, 81, 783-789, 2003 (coauthor). AIPLA Webinar, "Lessons From Recent CAFC Decisions and PTAB Challenges," October 9, 2018.